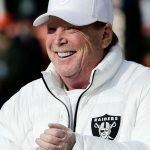 The Oakland Raiders are ready to pack their bags for Las Vegas, but one private investment firm is hoping to convince the storied franchise to stay put in California. Fortress Investment Group, a publicly traded investment management firm based in New York City, is working with former NFL star and Hall of Fame member Ronnie Lott to preserve the Raiders in the Bay Area. 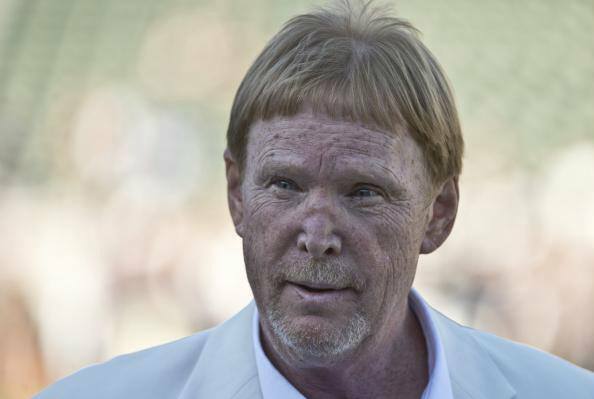 This week, the organization resubmitted plans to a build a new 55,000-seat stadium to keep owner Mark Davis in town. The proposal is rumored to cost $1.3 billion, and will be funded through Fortress putting up $600 million, the NFL and Raiders investing $500 million, and the City of Oakland funding $200 million. The pro football league confirmed to media outlets that it had received the submission. The same group previously presented a similar proposal, but the NFL rejected it on grounds that more information was needed. 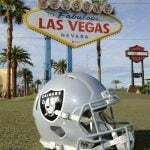 While there are plenty of Las Vegas locals who are less than enthused about the possibility of an NFL team calling the town home, the local government largely seems to support the Oakland Raiders coming to the Mojave Desert. Nevada has committed $750 million to building a 65,000-seat domed stadium just steps from the Strip. The money will come with raising the hotel occupancy tax in Clark County. Davis prefers the $1.9 billion Vegas deal over staying in Oakland, and Sin City lawmakers don’t seem concerned that the team owner is using the Bay Area as leverage. “I am in regular contact with the Raiders. I don’t believe that staying in Oakland is an option for them,” Clark County Commission Chairman Steve Sisolak told the Las Vegas Review-Journal. Once looking like almost a sure thing, Davis’ move to Nevada suffered a serious blow when Las Vegas Sands billionaire Sheldon Adelson withdrew his $650 million pledge to the stadium in late January. 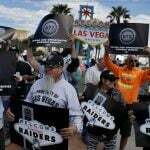 The casino magnate became furious with the Raiders after he felt the team went behind his back in presenting a lease agreement to the city that wasn’t contingent on Adelson’s involvement. Despite rumors that Davis might be considering staying in Oakland, all public evidence and statements from the owner pinpoint Vegas as the preferred home. Two unnamed banks have since stepped up to cover the $650 million hole left by Adelson’s departure. 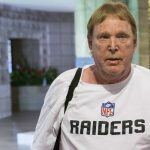 The next step in the Las Vegas Raiders coming to fruition is for Davis to formalize a lease agreement with the city and come to financial terms on the arrangement. He previously recommended that the team pay $1 a year in rent. Davis will meet with the Las Vegas Stadium Authority on March 9 to discuss the contract. Once finalized, he can then make his case to the NFL’s 31 other owners later this month during a meeting in Phoenix. Should three-fourths of the ownership support Davis’ relocation, the team would be cleared for Vegas.